Centre with natural materials and colours reflecting nature. 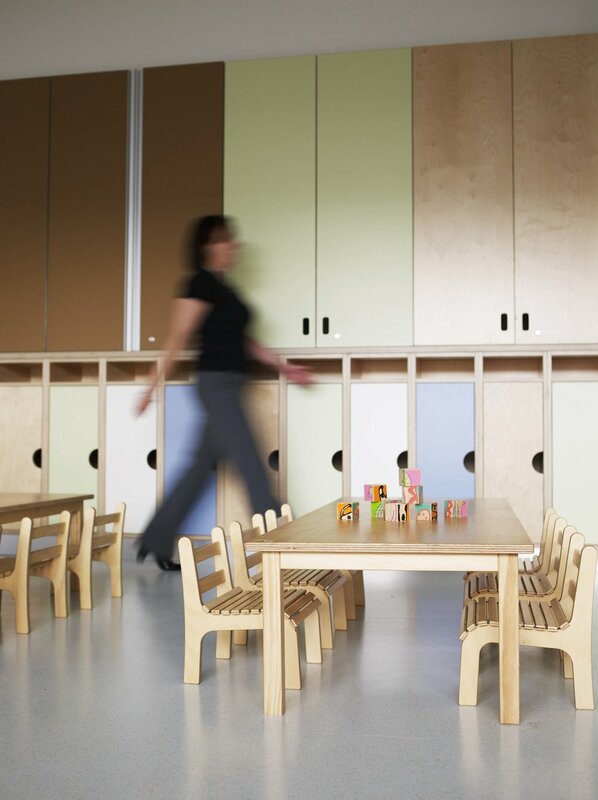 An important factor in the overall building selection for the CA head office in Sydney was the provision for an on – site childcare facility run by Montessori for the children of CA staff. 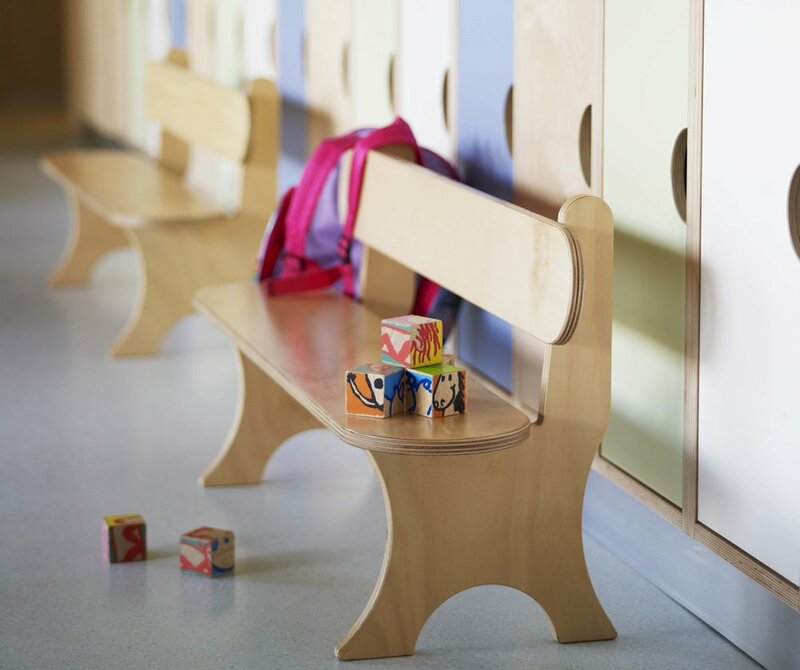 In conjunction with the design of the main head office facility FutureSpace were appointed to design the new Childcare Centre and worked closely with CA’s US childcare facility guidelines to achieve a successful outcome. 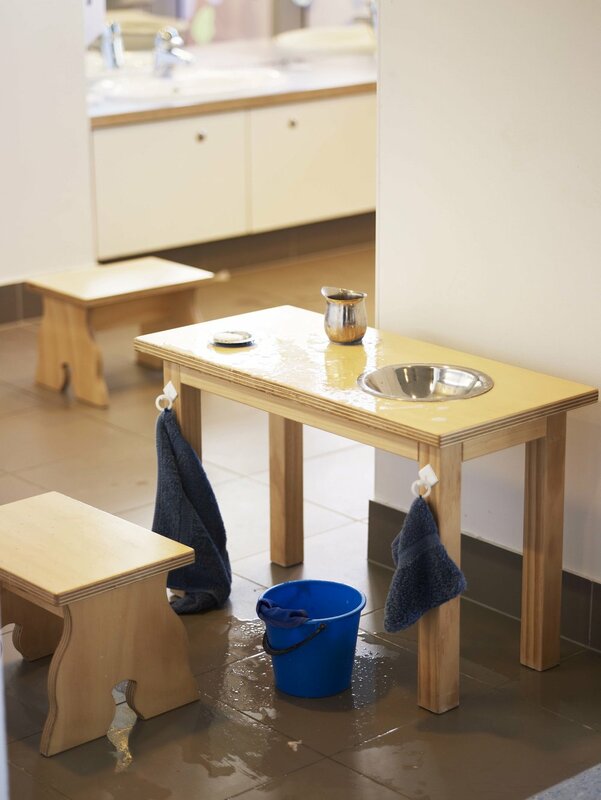 The centre was to be designed to match in all respects other Montessori CA childcare facilities throughout the world with an emphasis on the use of natural materials and colours reflecting nature. 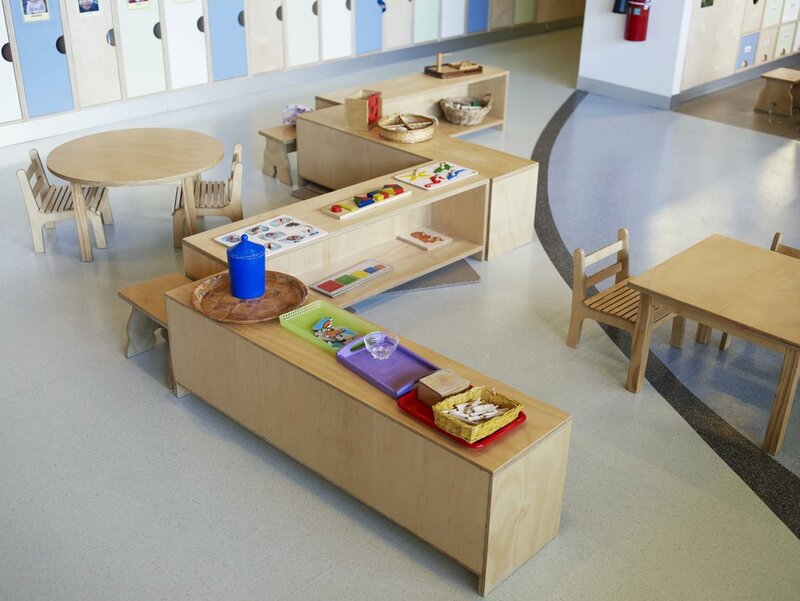 All the furniture pieces were custom made out of eco-friendly plywood by a local furniture supplier to match furniture items within their previous facility, the finishes throughout the facility imitate nature with light blues and greens and natural timber surfaces. The parents and children, a kitchen for preparing children’s meals, laundry room, parent’s room, staff room & lounge area which all lead to the success of running the childcare facility.